Like most parts of Digital Transformation, expectations continue to grow. To help businesses drive faster innovation, there’s no doubt Hybrid Cloud is the key. In the second of this three-part series, here we delve into how customers can benefit from this multi-cloud world. Key to the success of hybrid IT strategies is in leveraging hybrid storage solutions, to modernise and transform the organisation’s approach to storage by unifying across both on-site premises and through multicloud environments. This is the most robust and holistic approach that an organisation can take to its storage environment, and that will hand it a significant competitive advantage. There are five particular benefits that hybrid cloud storage offers enterprises; through this approach, an organisation can achieve greater continuity, scalability, security, agility, and cost effectiveness – all deemed as core priorities that businesses should look at when delving into digital transformation activities and high-end applications, especially within a computing environment that is more demanding than ever before. Continuity. Hybrid solutions give enterprise IT managers peace of mind regarding the ongoing existence and integrity of the data. Through such solutions, not only do organisations benefit from disaster recovery best practice by having reliable backups located off site, the organisation also retains the ability to continue working seamlessly even in the event that something catastrophic happens to the workplace facility. Scalability. With hybrid cloud storage, the scaling of resourcing is easier. That has obvious benefits to an organisation as it grows in size and headcount, and subsequently increases its data needs, but it’s also especially pertinent when innovating. When an organisation goes through a period of innovation, there’s a temporary need to have a massive increase in storage capacity, held within a safe, isolated environment for testing. 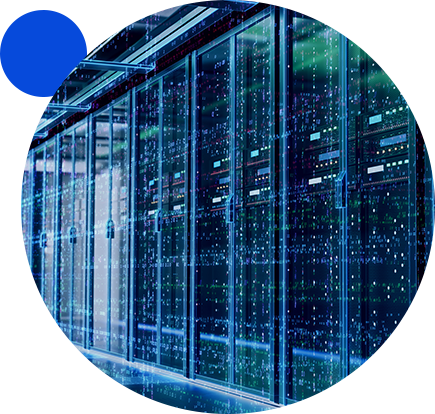 Hybrid cloud and storage solutions reduce the need for capital expenditure being spent into temporary infrastructure, labour and time for set up and maintenance, or the eventual decommission once the innovative project is complete. Security. Most organisations enjoy a substantial boost to their security when investing in hybrid solutions. Through a hybrid cloud storage solution, sensitive data can be housed in dedicated infrastructure that businesses retain complete control over, rather than relying exclusively on the security of third party partners, such as is the case with a purely public cloud environment. Agility. Close to two thirds of organisations are either undertaking digital transformation exercises, or will be doing so in the near future.2 One of the key goals of a digital transformation exercise is to increase the agility of the environment as organisations increasingly look to data and advanced solutions to rapidly roll out customer-focused solutions. Hybrid cloud storage solutions are an ideal option here, in enabling the rapid prototyping and rollout of solutions, meaning an organisation can be highly agile in its approach to market. It’s cost effective. Through a solution such as IBM Spectrum Storage, an organisation can save as much as 40 per cent on the technology within the overall solution, compared with licensing those products separately. Furthermore, it’s priced on a simple, per-TB pricing model, making the OpEx cost predictable and straightforward, which for many organisations is vastly preferable to having maintenance and upgrade costs sprung on them by the CIO as capacity is reached or upgrades are required. Research shows that IT budgets are increasing as organisations look to approach technology in a more innovative and controlled fashion.3 In many cases, a hybrid cloud solution will form the foundation of the next technology platforms being rolled out for the increased control and cost effectiveness that they offer. For more information on IBM Spectrum Storage, click here. As noted in the previous article, the advantages that hybrid cloud storage provides is parallel to the priorities that CIOs have when they’re looking to modernise and innovate the enterprise IT environment. When you look at the key technology trends going into 2019, it’s easy to see how hybrid cloud storage solutions will form a core part of the new-look infrastructure foundation. As noted by Gartner, infrastructure & operations is going through a period of significant disruption, and this is driving organisations to look for new solutions at the foundational level of their IT environment. Where once cloud adoption was seen principally as a cost benefit, with organisations adopting hybrid solutions to reduce their overall storage costs, now CIOs will also want to leverage cloud storage to competitive advantage as well. Gartner research director Gregory Murray said in a release. Gartner’s recommendations to organisations on how to grapple with this level of disruption includes adopting cloud services, modernising infrastructure, enabling hybrid integration, and ensuring that systems are always accessible across all providers and environments. Which brings us to storage, as one of the key areas where hybrid integration and cloud adoption can bring clear advantages to the organisation. CIOs are already familiar with the cost benefits of cloud-based storage, and in creating a hybrid environment for storage to maximise its efficiently. Less well known among IT executives is how to take a hybrid cloud storage environment and turn it into a point of competitive differentiation for the organisation. One example of how organisations might approach hybrid cloud storage integration can be seen through the IBM Spectrum Storage Suite – a licensing option that gives enterprises unlimited access to the IBM Spectrum Storage software family. Within those software options, organisations gain access to the kind of disruptive capabilities that take hybrid cloud storage beyond a cost saving, and gives organisations a competitive advantage. IBM Spectrum Control, which simplifies and automates storage provisioning, capacity management, availability monitoring, and reporting. This hybrid cloud data management platform is analytics driven and reduces costs by as much as 73 percent. IBM Spectrum Virtualize, which can unify storage from over 440 storage systems to make block storage more efficient, agile, and cloud-ready. By adopting IBM Spectrum Virtualize, organisations can increase raw data storage by up to five times. 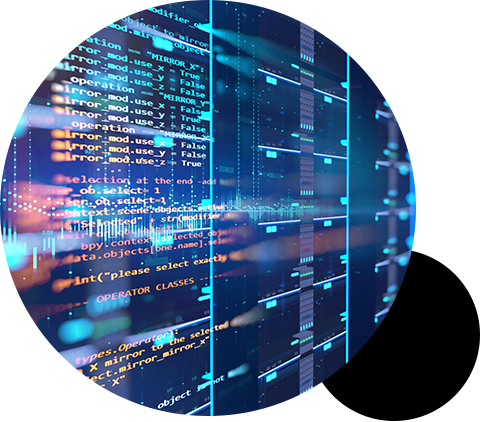 IBM Spectrum Accelerate, enables the rapid deployment of systems to x86 services, which can be completed in 30 minutes where typically it might take 30 days. IBM Spectrum Archive, which aims to reduce the total cost of ownership for active archive data by as much as 90 per cent. Data archiving is a big challenge for many organisations, as data is being created at an exponential rate, and one of the most compelling benefits to adopting hybrid cloud environments is the way it can create efficiencies in archiving. IBM Spectrum Scale, which provides enterprises with the big data analytics solution from within the IBM Spectrum Storage suite. 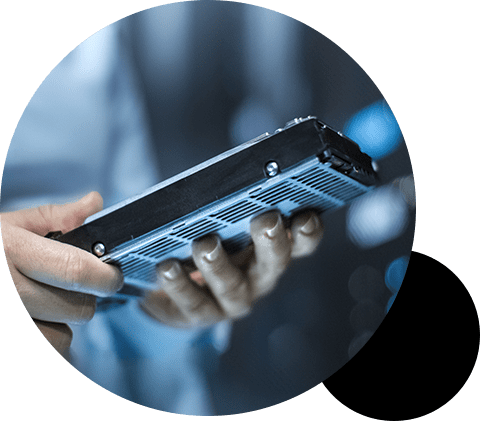 Spectrum Scale provides high-performance, scalable storage that enables global collaboration, and has cloud tiering to lower total costs. IBM Cloud Object Storage, which is an on-premises software-defined solution that stores and protects unstructured data. For organisations, having unlimited scalability and always-on availability is critical for its operational capability so it can capitalise on the value of unstructured data in the organisation. Combined, the features available through the IBM Spectrum Storage Suite enable organisations to embrace hybrid cloud and meet the recommendations that Gartner makes to organisations that are looking to navigate through 2019, and the “most disruptive period to I&O in history”. As we’ve seen from previous articles, in the face of extreme disruption to the IT environment and competitive landscape, adopting the right hybrid cloud storage solutions is a pathway for turning that disruption into an opportunity for competitive differentiation. One example of success through hybrid cloud storage is PT Wings Surya. As a fast moving consumer goods (FMCG) giant operating in Indonesia, PT Wings Surya operates in an incredibly competitive, dynamic sector, and as such, it generates a lot of mission-critical data and needs to be able to access that data with acute availability. The company identified the need to have a better backup system in place for its environment – one that could keep the data safe from corruption and unexpected incidences. The core requirement in this upgrade was to end up with a system that would be able to backup core business systems running on virtual machines. To achieve this, the company decided to deploy IBM Spectrum Project Plus. "Our previous backup solutions struggled to keep pace with volume of data generated by our analytics and ERP landscape. We were using many manual processes and an old-fashioned tape library as our secondary storage, and encountered issues with lengthy recovery times. To solve these challenges, we wanted to find a more advanced flexible solution." Hybrid cloud storage doesn’t just benefit the FMCG sector, of course. Another example of success from using the hybrid cloud model can be found with W&W Group, a financial services organisation operating out of Germany. With financial services, customers need rapid responses that are perfectly accurate, so the sector is constantly concerned with ensuring that it has the most robust and rapid disaster recovery solutions. W&W Group turned to IBM Storage systems and IBM Spectrum technology to power a high-availability backup solution. The result was a faster failover of the backup environment to produce more rapid disaster recovery, as well as annual cost savings due to lower system maintenance requirements under the new solution. Michael Mehrens, Competence Center Storage at W&W, said. The impact of digital disruption is being felt across all sectors and markets, and while the impact of digital disruption might differ from one company to the next, all organisations need to get on top of it. IBM Spectrum Storage solutions provides a versatile and robust set of tools that enable enterprises to manage advanced hybrid cloud environments, designed specifically to provide the foundations to cope with digital disruption.